Tooth sensitivity is something we encounter everyday in practice. One of the most common forms is hydrodynamic tooth sensitivity. Dentin is made up of a myriad of hollow collagen tubules. 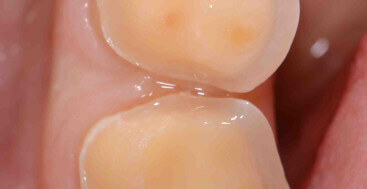 The ends of these tubules interface with the pulp at the center of the tooth. At the other end they terminate at the enamel or cementum, and are sealed. When the exterior end of the dentinal tubules is open fluid inside can move back and forth. There are numerous causes of this fluid movement including changes in pH, temperature, osmotic pressure and osmolality. When the fluid inside the tubules moves it tugs on the odontoblastic process at the pulpal interface and the pulp responds with a message of sensitivity or pain. There are many causes of these tubules being open including prepping a tooth and cutting away the enamel layer. In this case we strive to reseal the tubules by creating a hybrid zone or placing a base or liner under the restoration. Abrasive toothpastes and brushing will keep the tubules on exposed root surfaces chronically open, as will an acidic oral environment which demineralizes the plug and ends of the tubules. Sometimes simple behavioral changes like a less abrasive toothpaste, or dietary changes will dramatically improve a patient’s sensitivity. There are multiple solutions to this type of sensitivity, one is to numb the pulpal response, and this is the way potassium nitrate in toothpaste and relief gel works. 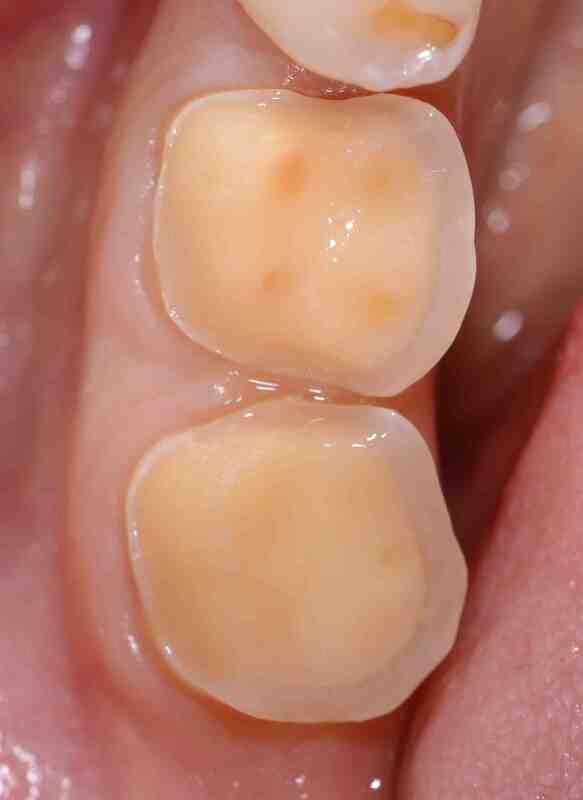 Another approach is to seal the dentinal tubules which prevents the fluid movement. HEMA, a common ingredient in many desenstizers coagulates in the tubules sealing them up. Other topical treatments are designed to seal the tubules through remineralization, or physically as you burnish it against the tooth.